Before leaving Buenos Aires for North America in 1984, Uruguay born Pianist Federico Pena honed his craft under the watchful eye of some of Argentina's top session players and producers like Gustavo Donez (Sweater), El Soca, Daniel Colombres, El Mono Fontana, Juan del Barrio and Jota Morelli. After studying intensely under world renowned Argentine concert pianist Antonio de Raco, stateside and around the world, Pena continues to demonstrate his superior talents working with an extensive list of well known artists such as Me'shell N'DegeOcello, Maxwell, Angela Boffill, Rare Essence, Pieces of a Dream, Digable Planets, Alana Davis, George Howard, Roy Hargrove, Chaka Khan, Cassandra Wilson, Marcus Miller, SMV (Stanley Clarke, Marcus Miller & Victor Wooten) and many others. Currently he occupies the keyboard chair in SMV, tours some with Marcus Miller, and devotes his musical time to writing and producing. Tarus Mateen is one of the more sought-after acoustic and electric bassists on the jazz scene. He has also made his mark with a variety of R&B and hip-hop artists, as both a bassist and a producer. A graduate of Atlanta's Morehouse College, Mateen worked for several years down South. Relocating to New York in 1988, he scored the dream gig of many young jazz musicians: a spot in Betty Carter's band. He also worked with trumpeter/film composer Terence Blanchard on the score for the Spike Lee film Malcolm X, as well as the Malcolm X Jazz Suite. Mateen's R&B and hip-hop credits include such notable acts as Monica, Outkast, Goodie Mob, the Roots, Fugees, De La Soul, and Fishbone. On the jazz side, he performs and records most regularly with pianist Marc Cary. He also works with vibraphonist Stefon Harris, as well as the New Directions band, which includes Harris, Greg Osby, Jason Moran, and Mark Shim. In 2000, along with drummer Nasheet Waits, he appeared on two stellar piano trio albums: Marc Cary's Trillium and Jason Moran's Facing Left. 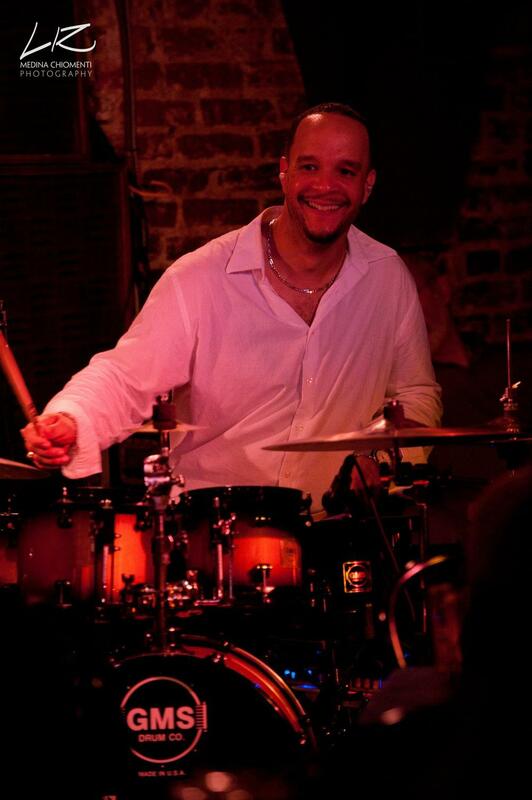 Born in Washington, DC, Mark has developed into one of the premier drummers in today’s music scene. Honing his skills at Howard University under the expert tutelage of the legendary Grady Tate, as well as maintaining a strong classical background as a National Symphony Fellowship recipient, his versatility is a sought after attribute amongst the musical community both nationally and internationally. His current work with the seminal World-Beat/R&B sensation Fertile Ground is catching fire all over the U.S., Europe and Japan. Three albums with Philadelphia-based Jazz phenom Ruth Naomi Floyd have garnered critical acclaim, as well as tours with smooth jazz pioneer, and piano virtuoso, Bobby Lyle., along with the most recent collaboration w/ the Bobby Lyle/Paul Jackson, jr. Organ Trio serve to solidify Mark’s potent presence amongst the international drumming community.